Clayton Perry: As the son of a preacher, you performed regularly in church. What professional lessons did you pull from that experience and transfer to your secular career? Allen Stone: Oh, goodness. I think the biggest trait that was passed on to me from my parents and my dad was love and respect, and taking the time out of your day to appreciate others. I think what people don’t understand is that the music industry, and the success that you have in it is based about 15 percent or 20 percent on actual talent and about 80 percent on your personality, how nice you are, and whether or not you respect the people around you and treat them with care. I see a lot of the artists that die out. You hear a lot of horror stories about them not being very nice people. As lame as it may sound and as contrived as it may seem, being nice really is the biggest asset you can have in the music industry—caring about people for more than just what they can do for you. Does that make sense? Allen Stone: After the gig, I always go to the merch table. I talk, and I greet, and I meet everybody that comes there. I go around to the whole staff at the venue and thank them for having me. I try to make them feel that I care for them. I believe that that’s where actual joy is—that riches exist within relationships with people. But I believe that it also can get you a long way in life, just taking time out of your day to care for others. Clayton Perry: You note that character has made you successful up to this point, but you do have talent. You sing. You write songs. You play the guitar. Talk to me about your relationship with your father. What role did your relationship, both inside and outside the church, play in identifying your talents and how they sprouted? 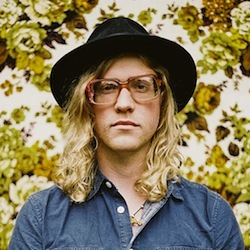 Allen Stone: …the center of attention syndrome. If I’m honest with you, I think music was just another form for me to be the center of attention. [laughing continues] But once I discovered soul music, Stevie Wonder and Marvin Gaye’s “What’s Going On,” it changed from just solely wanting to be the center of attention. It turned into something bigger. It turned into: “Wow! This music really touches me, and I’d really like to create the type of music that does this to other people.” It took a different form after a little while. I’ve never taken a vocal lesson. I’ve never taken a music lesson. Well, no. I lie about that. I did take a couple of piano lessons when I was about seventeen. But it was never pulled out of me, and I was never forced into it beyond my just singing when I was a little kid. It’s always been something that I really loved. And in high school, I never revealed it very much to any of my friends. I sang at church, and led worship at church, but none of my friends from high school went to my church [laughing]. I never really knew that I could sing. It’s funny now, when I’m popping up on all these late-night shows. They all know that that’s what I’m doing now, but none of them really had any idea that I was that serious about it. Clayton Perry: It is interesting to discover you were introduced to soul music rather late in your life. Soul music, like Gospel, tends to always have a message in the music. Many of your songs incorporate a theme of social awareness, even if it might not necessarily be directly religious. As your career expanded from the local community to the national spotlight and now international markets, what do you find the purpose of music to be? What power do you see it having? Allen Stone: For me, I think music is one of the most powerful forms of art that we’ve been given. Music is the universal language of energy. I can listen to somebody sing in French, and even though I have no idea what they’re saying, it will move me so deeply just feeling the expression that they have. For me, I think music can be extremely powerful, but I think music can also be extremely detrimental. I won’t name names of artists or music on the opposite end of that spectrum, but I think you can see how powerful music is by the reaction of fans. Look at fans of Justin Bieber. Clayton Perry: As you write the lyrics to what are deeply personal songs, do you ever consider how they will be interpreted by listeners? The breakdown on “Sleep,” for example, could be interpreted as a lesson of warning to your fans. At the end, you sing the following lines: “Count sheep, I’ve already tried, Drink whiskey, It makes my throat too dry, Smoke weed, It makes my eyes all red, Take a pill, Al, What, and end up dead?” I wonder if there is an undergirding philosophy to your songwriting, or whether this is just you pouring your heart out? Allen Stone: For me, I don’t want to put out music that I’ll turn back and think: “I hate that song.” I never want to create music that I’ll look back on, in years, and think: “That’s just a waste of time. That’s a waste of three minutes of my life.” I always want to say something that’s either very true to my life at that time, or is socially progressive. I have a song on that record called “The Wind,” which is a love song that I wrote. And I don’t typically write love songs, but when I wrote that song, it was very true to my spirit. I wrote it for a girl that I was in love with, and it was about allowing life to take you where it leads, just like the wind blows seeds wherever they’re supposed to land. With “Sleep,” it was the same way. When I wrote that song, I was on the road for close to 200 shows a year, and I wasn’t sleeping at all. I still don’t sleep very much, but I’m getting a little bit more now than I used to and I felt like it was a universal thing, too. We live in a day and age that is so fast, and we have so much stimulant. That’s the one thing that we don’t do is sleep, as a culture, and especially Americans. There’s so much stimulation. There are so many things to do nowadays, that people just don’t sleep very often—at least the people I’m surrounded by. I felt like it was a pretty universal topic, and something that was definitely true to my own life. Clayton Perry: You speak about the incessant touring. I know that it can wear and tear down not just the body, but also the mind. I’m very impressed by your transition to the mainstream. Your debut album was released digitally initially. And your entire career has taken place in an era where the music industry has undergone – and still continues to see – massive change. Give me some insight on the business side of the music business. Allen Stone: I was always taught to never spend what you don’t have. I think that’s one of the biggest mistakes in the music industry. A lot of labels are realizing that for years, they’ve thrown all this money away to develop artists, and it’s money that is really stupid to spend. Like flying first class, or just little things. I had a sense from my family growing up that there are frugal ways to do things. I toured the country doing couch surfing. It would just be me and my Buick LeSabre and my acoustic guitar. I’d play a small venue for fifty people, and I’d stay on somebody’s couch instead of paying money for a hotel. And all that stuff adds up. If you incur $5,000 worth of debt on a tour, it’s very unlikely that you will hop back out on that same tour, and think: “Oh, yeah, this is going to be fun.” First of all, it’s a lot of hard work. I had a little business sense from that. Also, I met my manager when I was nineteen, and we’ve been working together for about six years now. He has a really good understanding of being frugal in the industry, as well—of not spending money that you don’t need to, and making it all work financially. At the end of the day, that’s what it is, first and foremost, is a business. It’s a business of the art, and even though the art is the sacred portion of it, in order for you to continue creating that art, you’ve got to be profitable. You’ve got to at least break even. A lot of that came from my manager as well. 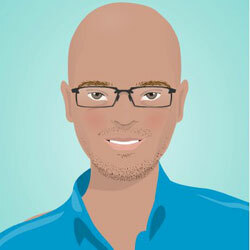 Clayton Perry: A great deal of time and energy is also spent on marketing. The album cover only features your name, however, although a full blow-out picture is included as an insert. Was this a conscious decision? Clayton Perry: Well, your voice definitely sells the work. Your lyrics and production, too. As a self-described “hippie with soul,” does that phrase have – or take on – a different meaning abroad? Allen Stone: I hate attempting to try and follow the current fashion trend. I just wear what I think looks cool and I look the way I do because I think it’s original. I felt like that was the best way to describe the hippie movement of the ’60s and ’70s, where they were really counterculture. They didn’t want to do the suit and tie thing that their parents had passed down to them. At the time, it was the best way for me to describe it, I guess. Clayton Perry: I forgot to mention that “Satisfaction” is my favorite song off the album. Allen Stone: Thank you. “Satisfaction” was actually a song I wrote about my experience with the church. It sounds like a love song, but it’s actually a love song to the church. In the pre-chorus, if you notice, it says: “I’m just another quarter in your offering.” That was the giveaway lyric. For me, my experience with the church was I went to Bible college. I woke up one day, and I was like: “I don’t believe this.” I learned about the conception of the Bible and how the Scripture was put together. I studied the text very deeply. I woke up one morning and thought: “This wasn’t what I was raised to believe.” I was raised that all this text was like God’s direct word just to find out it wasn’t. I felt like I had been duped. I decided to leave the church. Once I did, I felt this total backlash from people who, all my life, had talked about forgiveness, acceptance, coexistence and all. Once the actual needle was to the skin, it was just like all that went to s**t. I was in a very bitter state. I wrote that when I was about 21 or 22. I was in a very bitter frame of mind. I’ve since moved past that and gotten over that bitterness and that young 20’s angst. Clayton Perry: Nothing’s wrong with a little bit of 20’s angst. So long as it’s measured and controlled [laughing]. We all have those moments [laughing continues]. Allen Stone: Totally. Yeah, I’m with you. I’m with you. Clayton Perry: “Satisfaction” rocks like a jam session. What’s your take on live instrumentation versus pre-recorded tracks? Allen Stone: …and doesn’t need anything but a pencil and his mind to do it. That’s, I think, the altering difference to me. I don’t ever want to talk down about somebody’s art, because we’re all on the same pathway, and we’re all just trying to survive. However, I choose to be a purist when I make records because I feel like there is an actual soul. I hear the soul in music that has actual instrumentation on it, and I don’t hear it in music that’s created in the box on computers.